The 2017 WIPA Awards of Excellence will recognize wedding professionals demonstrating excellence in their field representing over 16 rigorous disciplines. .Each will be judged anonymously by a group of their peers across the country. Open only to WIPA members, once you log in to WIPA.org your login will transfer to the entry site where you can begin your submission. You do not need to complete your entry all at once, you can log in as many times as necessary to submit photos, tr\weak the descriptions or update the details. Important log in information. If you are using a third part marketing or public relations firm to submit your entry and they are a member of WIPA they can use their login and submit on your behalf. If the third party is not a WIPA member, they will use your wipa.org log in to enter the entry site. The WIPA Awards of Excellence will be hosted by the WIPA Las Vegas Chapter on November 29 at the J.W. Marriott Resort. Tickets for the event will be available October 1, 2017 AT wipa.org. It’s that time of year when YOU can take part in the future of WIPA. WIPA is North Americas first nonprofit association for the wedding industry and in 2018 we will be marking 10 years as an organization. Equally importantly, WIPA was founded to focus on improving the Wedding Industry, not just for professionals and creative partners in the industry, but also for our Brides their families and friends. As a member, you have a right and a responsibility to be part of that success. Nominations for leadership in your chapter and the International level are now open. Have you had some great ideas to improve the organization and the industry? Or have you identified someone you think would be a great asset to the leadership? This is the one time each year you can step up and see that change take place. All members in good standing who are, according to the bylaws, eligible to vote are also eligible to nominate themselves or another person for either a Chapter Board Position or the International Board. All three nominations forms are located on the Members Landing page ofWIPA.org. Each form is submitted by the individual completing it and is held on file on the WIPA website where it can be viewed by administration. Don’t delay -- Nominations will close on Oct 10, 2017. In case you missed the recent WIPA Members Only Webinar presented by Kevin Dennis, it's available online for viewing at your convenience. Just go to https://wipa.memberclicks.net/education. Thanks to the WIPA Advisory Board, Immediate Past President Brit Bertino has completed an effort to provide standard forms for many of the Wedding industry disciplines, AND, here is the best part, as a member of WIPA there is no charge for accessing the forms and using them whenever you need to find one for your business use! So please take a look at this valuable member benefit by logging in to the Members Only section of www.WIPA.org with your email and password. There under the Resource tab you will scroll down to the Member Library and can download any of these forms for your use. A discounted rate of $1600 to all WIPA members to attend Be Sage Conference with use of the code “WIPA” upon registration at: www.besageconference.com . This is $200 off the regular rate. Sage Wedding Pros is dedicated to creating financially and operationally sustainable businesses in the wedding industry. We hope to see you at Be Sage, December 4-7! At The Special Event (TSE), the industry’s largest tradeshow and conference for event professionals, you’ll connect with over 5,000 event colleagues, exhibitors, and mentors. We hope to see you on the exhibit hall floor, we’ll be in booth #1310. Register with discount code WIPA for special pricing or a free exhibit hall pass! Over 150 classes, breakouts for your wedding specialty, and 150 exhibits. Masumi Amin - Christina Currie Events, Inc.
Christina Currie - Christina Currie Events, Inc.
Can we just talk for a second about the sheer fabulousness, beauty and fun from the Wipa Colorado event at Flying Diamond Ranch! !This is just a glimpse of all the beauty and we can't wait to show you so much more from this spectacular event planned by Go Bella Design and brought to you by WIPA Colorado! More to come next month! 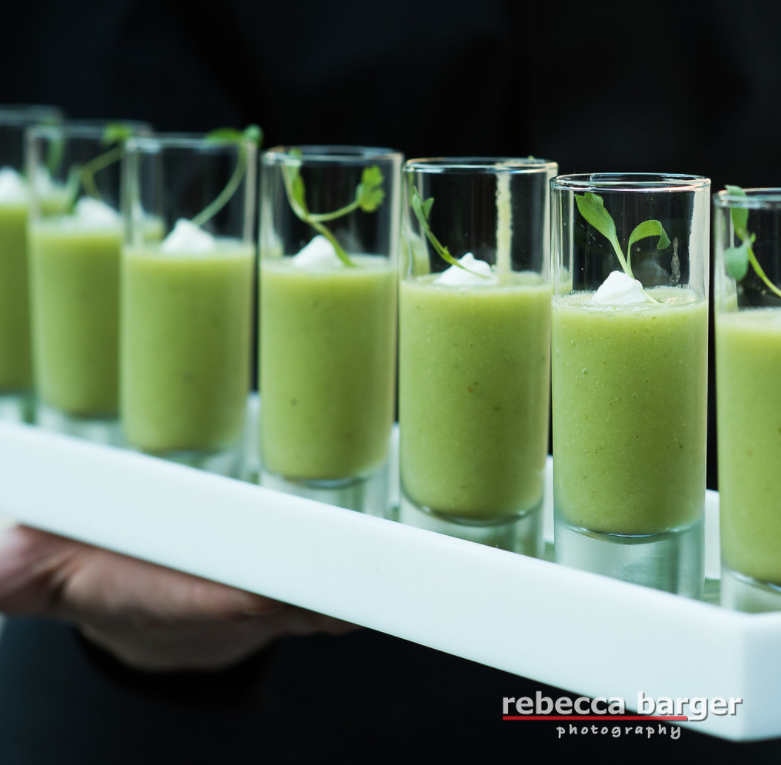 Photos courtesy of Rebecca Marie Photography, hosted at Galleria Marchetti. WIPANYC hosted a mock Wedding last month at Espace. Guests were amazed by the wonderful food, decor and entertainment. The guest speaker, Peter Shankman, gave humorous and insightful tips on how to provide customers with a higher level of service. WIPANYC was also officially sworn in as a chapter by WIPA’s National President, Rrivre Davies. Our mock Wedding last week was an amazing success! Thanks to everyone who attended and a HUGE thank you to all of our fabulous sponsors for making it such an exciting celebration! These absolutely stunning images from Rebecca Barger Photography are making us wish we could do our WIPA Philadelphia event all over again! Thank you to all our sponsors, members, future members, and board for a fabulous event! Thank you to Rebecca Barger Photography for all images and to all of our sponsors tagged below. Mountain Shadows is now open in Scottsdale, Arizona. This new boutique resort features modern styling and venues with unparalleled views of iconic Camelback Mountain. The resort condominiums and suites will be completed this November, offering the most luxurious experience at the resort just a short drive from Downtown Scottsdale. Bespoke Edge was named Top of the Town Readers’ Choice by 5280 Magazine this year under the category of best Men's Clothing Boutique. The family-run groom's custom clothier was also featured on the cover of Colorado Expression magazine. Rebecca Barger, of Rebecca Barger Photography, was interviewed by Karen Hepp of Fox29 of Philadelphia. Karen’s series Bizzy Mama, features women business owners in the Philadelphia area. They discussed Rebecca’s creative approach. Video HERE. Andrea Leslie Weddings & Events was featured on Borrowed & Blue for their recent romantic winter wedding at Sassi. Kristen Hansen of KMH photography recently did their first commercial shoot for the High Roller Wedding Chapel. Congratulations to Lucia Tovalin for being featured in Las Vegas Women's magazine for her work with By-Dzign. Alan Katz of Great Officiants will be speaking again for the 4th year at Wedding MBA in October. Alan and his team was also recently featured in the new TLC program Spouse House where the performed the weddings for the show. Also in September the final Prank on Disney’s Walk the Prank show will air. Let’s hope there are more shows to come. Kevin Dennis of WeddingIQ was recently featured on Catersource with his guest article, The Tech Apps that Keep My Business Running Smoothly. He will also be speaking at Wedding MBA in October on the topic, Let's Get Technical: Top Apps for Streamlining your Business, as well as a joint session with Meghan Ely of OFD Consulting called, Reel in the Likes. Emily Sullivan of Emily Sullivan Events will be speaking in two sessions at Wedding MBA in October. Her first is called, Fab Finds: Wedding Personalization on Fire, and will be followed up with, The X-Files: When an Untested Wedding Pro is Thrown at You. She debuted as a contributor on WeddingIQ this month, discussing how to manage vendor personalities, and shared insight on client boundaries on the Timeline Genius blog. Occasions Catering is excited to host their Second Annual Autumn Soirée on October 8th! The festive, casual event is designed as a fun “thank you” celebration to all Occasions’ preferred partners, VIP clients, and their family and friends. Please join them for seasonal food, drinks, games, and crafts at the gorgeous Denver Botanic Gardens at Chatfield Farms by RSVPing before October 3rd. Any questions can also be emailed to Occasions Marketing Manager Krista Pass. Lisa Herrera, owner/lead designer of A Cake Come True, had her intricately detailed macrame inspired cake, published in the nationally recognized American Decorating Magazine Sept/Oct Fabulous Finishes and Textures. Premiere Party Rents is featured on Green Wedding Shoes for a romantic Hollywood Loft Wedding. Premiere Party Rents is also featured on Ruffled Blog for this Citrus Hued Whimsical Wedding and this Soft and Romantic Lombardi House Wedding. Vibiana was recently featured on Inside Weddings and Grace Ormonde for vignettes created at Luxe Linen’s LUXE Launch 2017. On September 12 Redbird | Vibiana will unveil the newest addition to the property, a garden, located in the outdoor space between Redbird, Vibiana and the Little Tokyo Library in Downtown Los Angeles. A multi-faceted endeavor, the garden functions as an additional private dining space for weddings, parties, brunches, dinners and more. LUXE Linen has recently been featured in VOGUE, Grace Ormonde and California Wedding Day for various weddings and styled shoots. The company has recently added Tricia Beron as the Sales Manager for Arizona and Nevada and Mercedes Coy as a Sales Manager for Los Angeles. Wedspire and CEO Afeisha James Kipps was recently featured on the Bridechilla podcast for how to achieve the work/life balance while planning your wedding. Also just launched this September is their partnership with Wedding Style brand Kennedy Blue and the Wedding Shoppe which offers a promotion on all Wedspire purchases of Kennedy Blue Bridal and Bridesmaid gowns. Email [email protected] with any news, images, and social media squares for international promotion!